Rockaway Music is an Authorized Dealer of Seiler Pianos. Established in 1849, Seiler is one of the world's oldest piano manufacturers and has always had a dominating presence in the European market for both home and concert venues. Seiler continues to handcraft some of the world's finest pianos in Kitzingen, Germany and are now marketed globally. 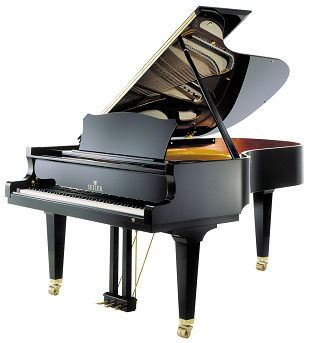 They are recognized by musicians all over the world as one of the highest quality pianos. With the introduction of two new lines, the Eduard and Johannes, Seiler has expanded to provide a piano for any lifestyle. The Eduard Seiler grand and vertical pianos are derived from the most popular German models and utilize the exact scale designs, plate and bridge placement measurements. The Membrater Soundboard is found on all Eduard Seiler grand and vertical pianos continuing the commitment to Seiler's renowned tonal quality. They also feature a sand cast plate and utilize the same German Abel Hammers and Renner Action. These pianos are meticulously finished by piano craftsman to provide the pianist with the world famous Seiler touch and tone. The Eduard Seiler Series is perfect for those seeking a quality German scaled piano comparably priced to Japanese brands. The Johannes Seiler line also uses the same Abel Hammers and Grand Piano Action designs that are found in the German and Eduard Seiler pianos, as well as a sand cast plate. These parts are then incorporated into German scale designs that offer a rich sound not found in other pianos in this price point. 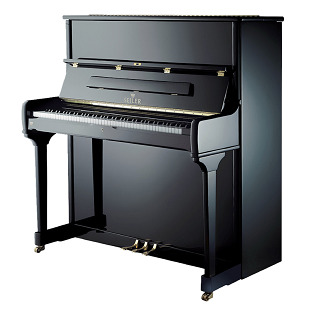 The Johannes Seiler pianos are a great choice for the first time buyer seeking quality and value. Start your musical journey playing a European style piano. Visit Rockaway Music today to see, hear, and play these pianos. We are confident you will enjoy the experience.